WOW! 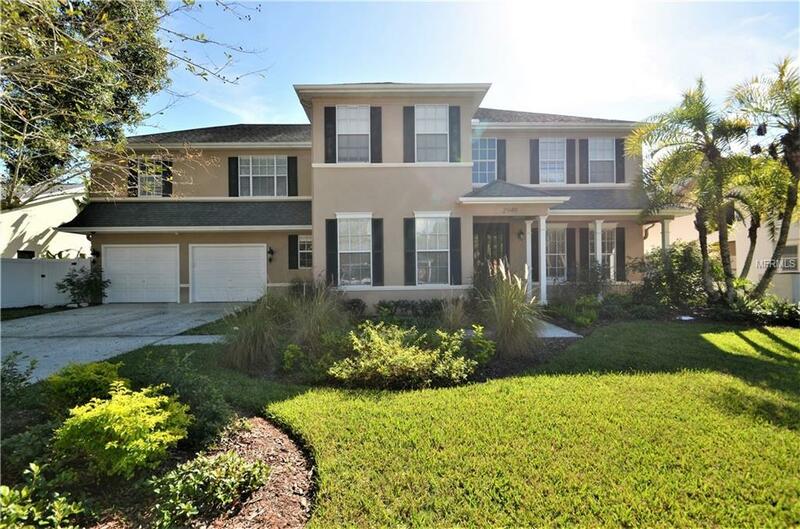 Beautiful Executive home in gorgeous Landmark Estates w/5 bedrooms PLUS 3rd story bonus room that could be a 6th, PLUS main floor exercise room and theater room! Slate floors on the front porch of this colonial welcome you as you enter the heavy double glass doors. You will be amazed by the 2-story foyer & formal dining area w/wainscot & double coffered ceiling. Gourmet kitchen has huge walk-in pantry, carrara marble counters, back-splash, huge island, farmhouse stainless sink plus island sink, cabinets galore, Wolf range w/griddle, convection oven, & sub-zero fridge! Exercise room & casual dining room both lead to stunning pool that has 2 story screen enclosure that includes heated spa, built-in TV and outdoor grill. Pool also has access to main floor half bath as well as expansive 2nd story deck with 3 sets of french doors that give entry to 2 of the guest rooms and to the Master suite! Master suite has gorgeous colonial archway from sitting room to sleeping area, transom window & double french doors; one to overlook pool and one to private walled deck. Master also has giant walk-in closet w/tons of shelving, drawers, & safe. Master bath w/double vanity, soaker tub and separate shower. Lot backs up to conservation area for ultimate privacy and is fully fenced! Bonus room on the 3rd floor includes a huge walk-in closet, its own full bath, and overlooks the backyard. Home also offers tankless water heater, outdoor sprinkler system, indoor fire sprinkler & surround sound throughout.